There are certain places in London that are sprinkled with magic, Liberty of London is most definitely one of those places. 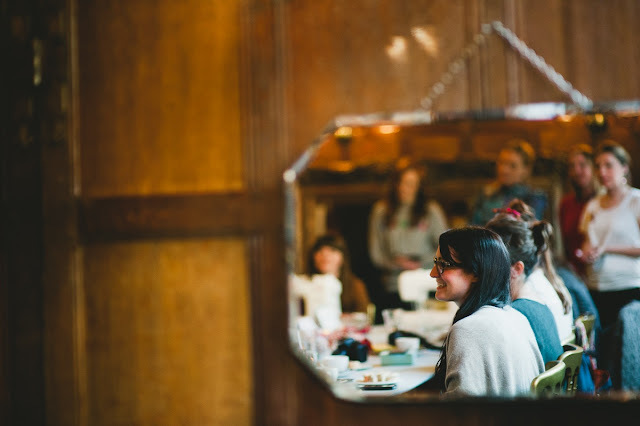 There is something deeply engrained within it's walls that casts a spell on you as soon as you step through its doors. 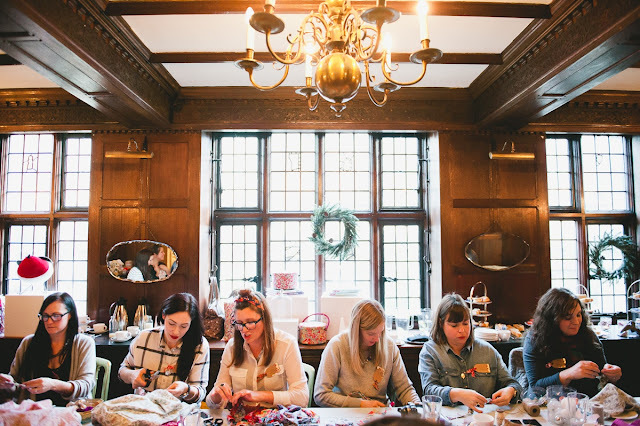 Imagine mine and Katy's delight when Liberty kindly offered to host our very first Crafting The Seasons event. 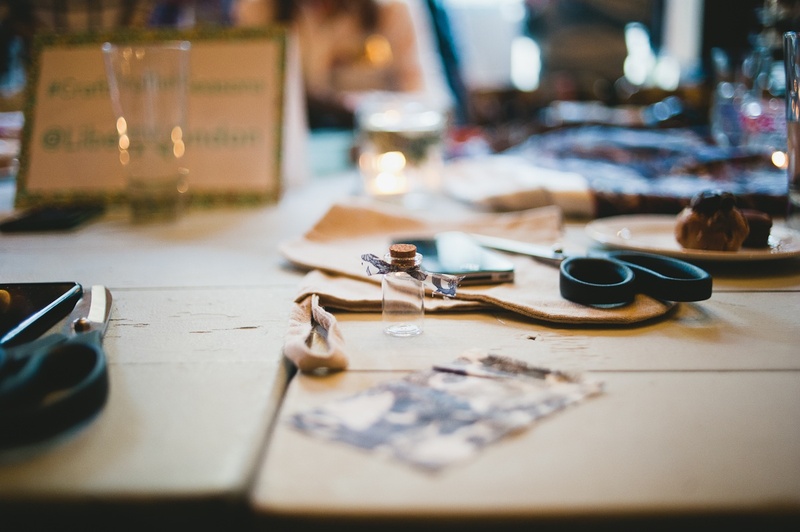 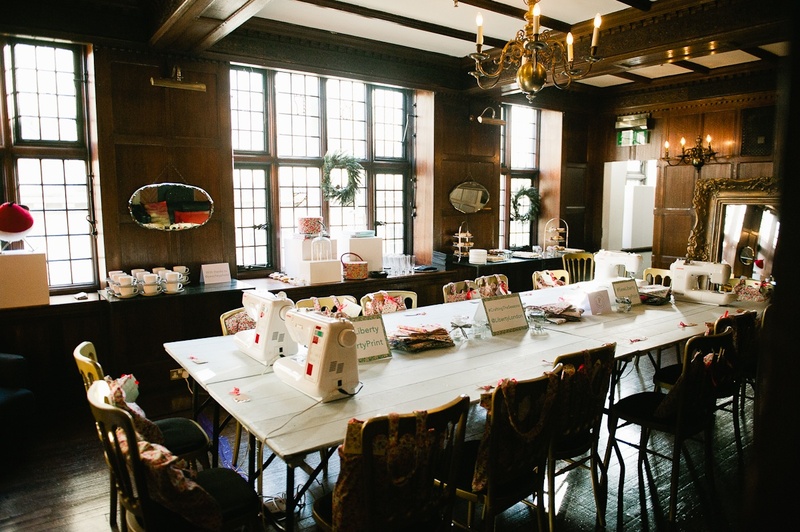 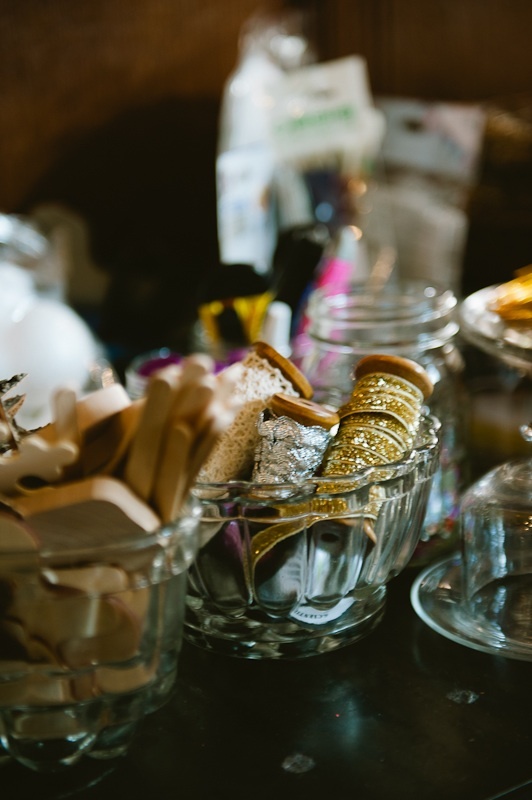 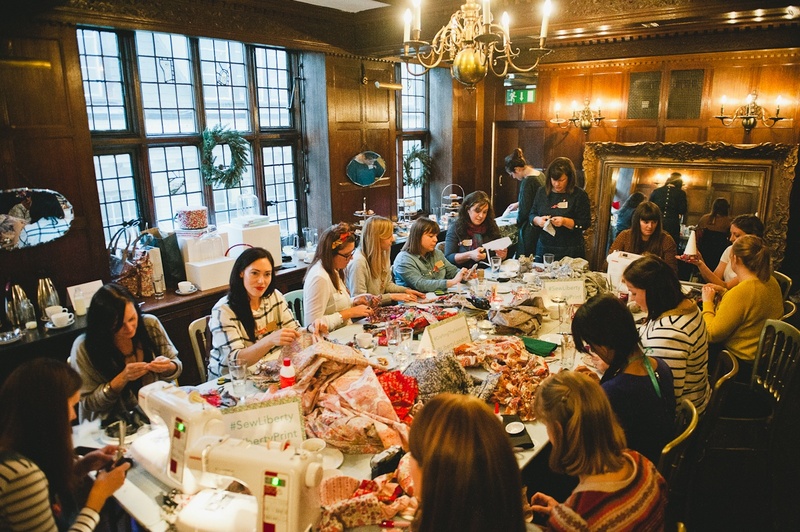 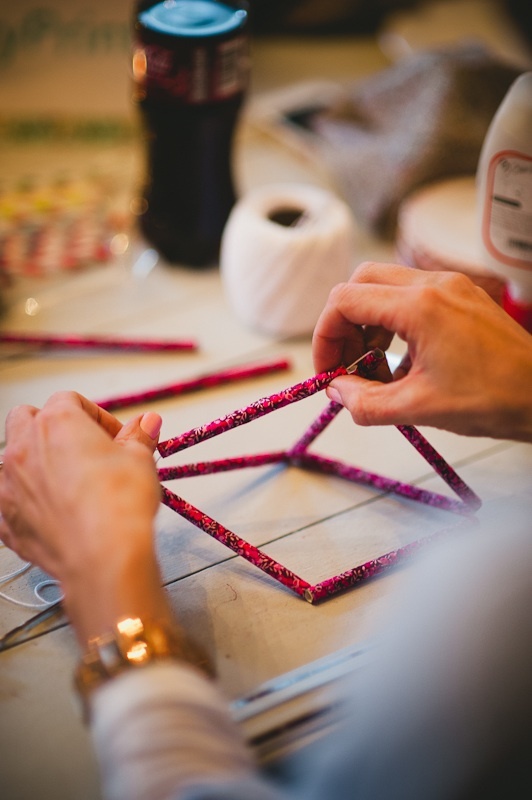 As a thank you to all the bloggers that helped us launch Styling The Seasons we held an afternoon of tea and festive crafting. 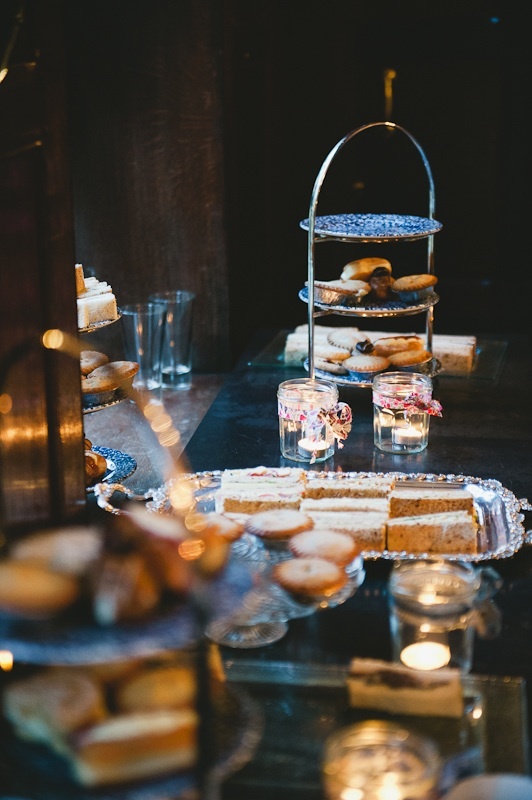 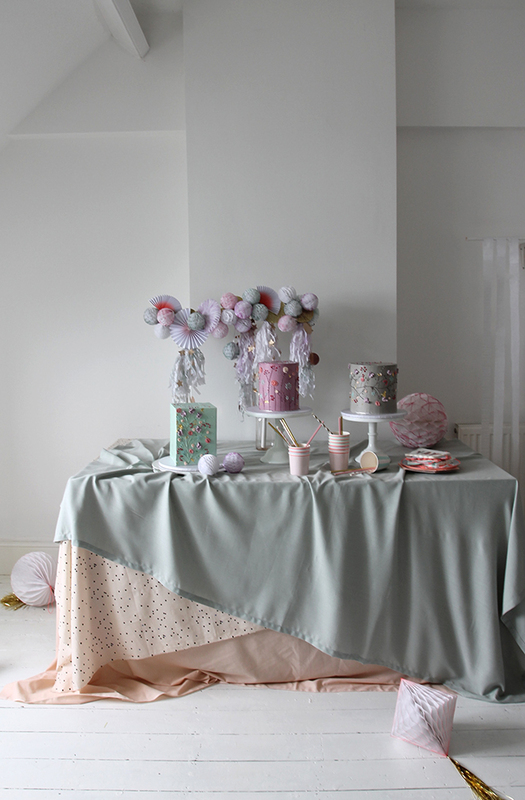 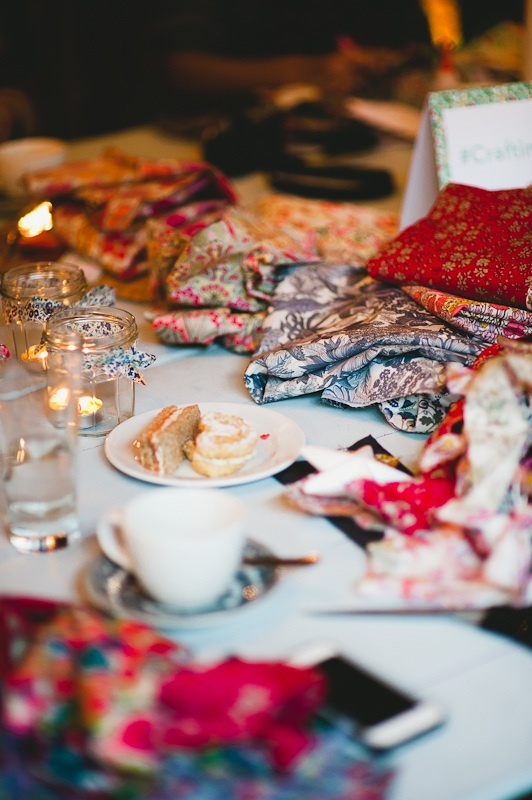 Kate from The Homemakery kindly supplied us with some wonderful goodies, I went for one of these, Liberty provided the tea and fabulous Liberty print fabric to play with (there wasn't a scrap left at the end) and Katharine Peachey took these beautiful photos of the event. 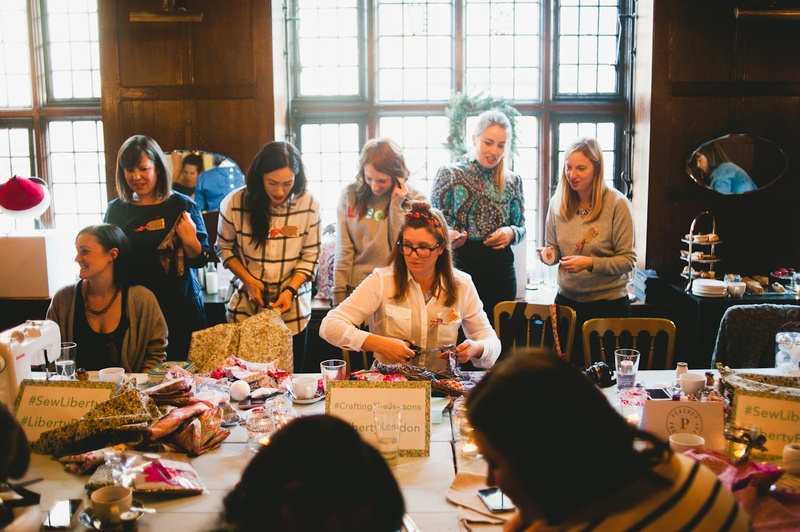 It was such a fun filled afternoon full of inspiration and creativity, being nosey it was great seeing what everyone made throughout the afternoon. Creativity is so infectious, I have spent the rest of the week bursting with ideas after spending time with such a lovely bunch of ladies. 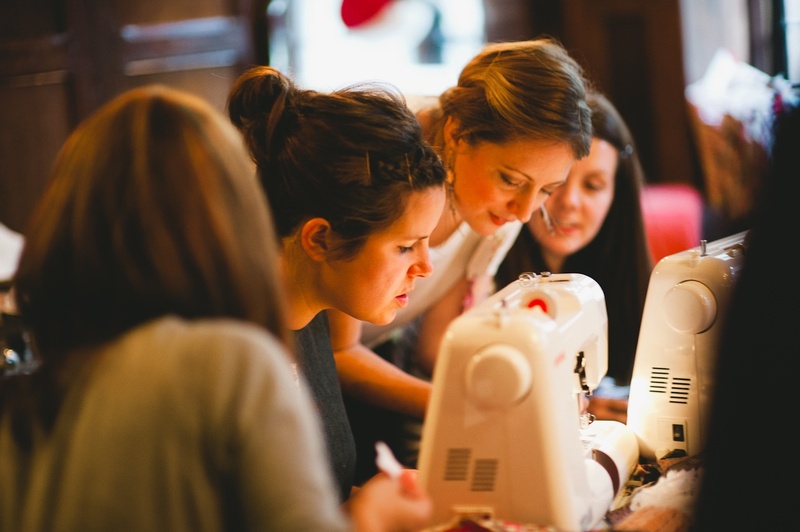 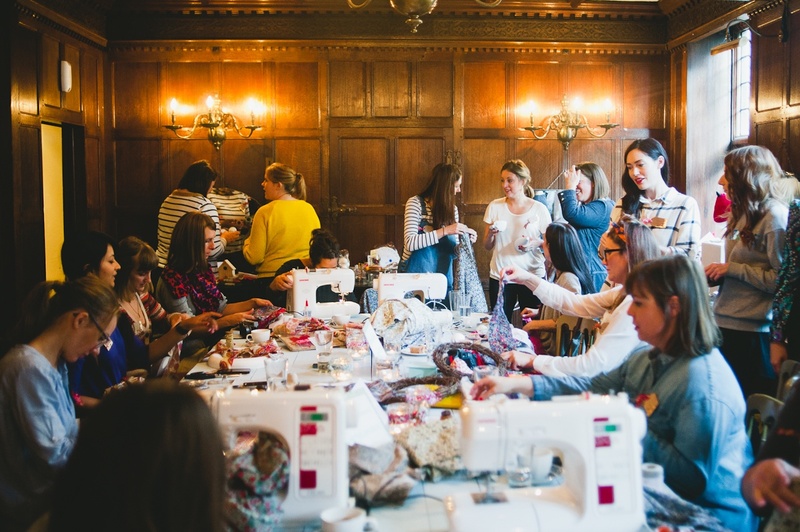 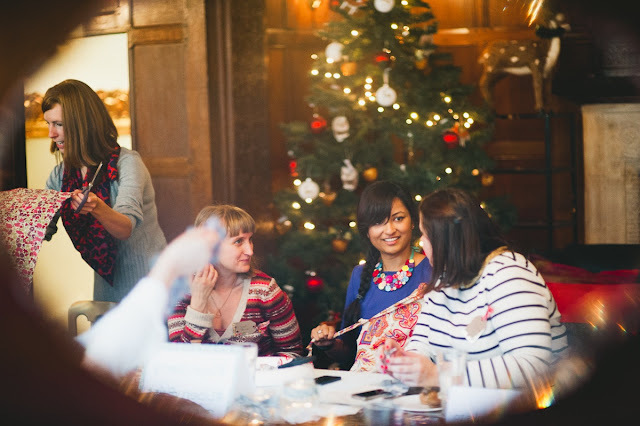 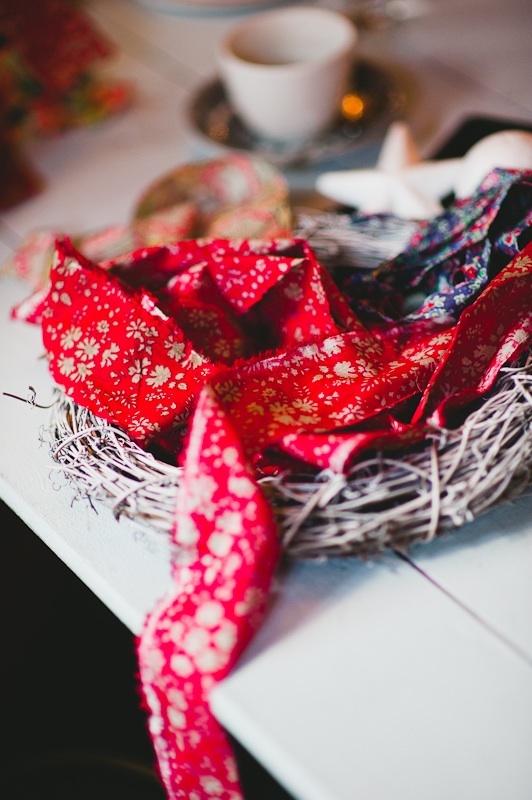 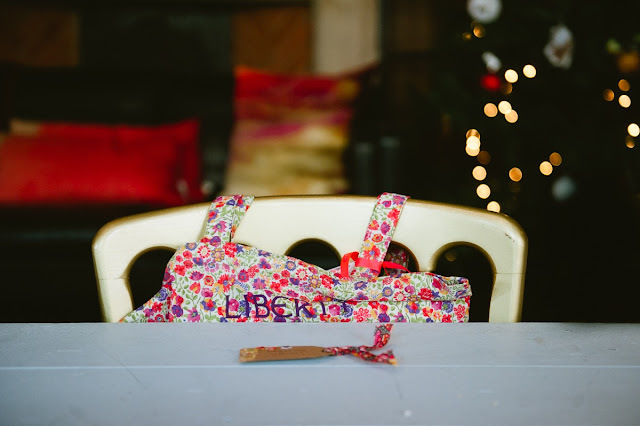 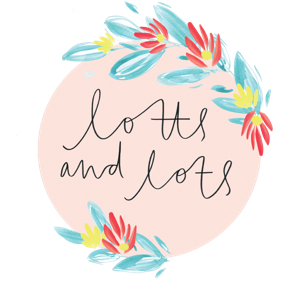 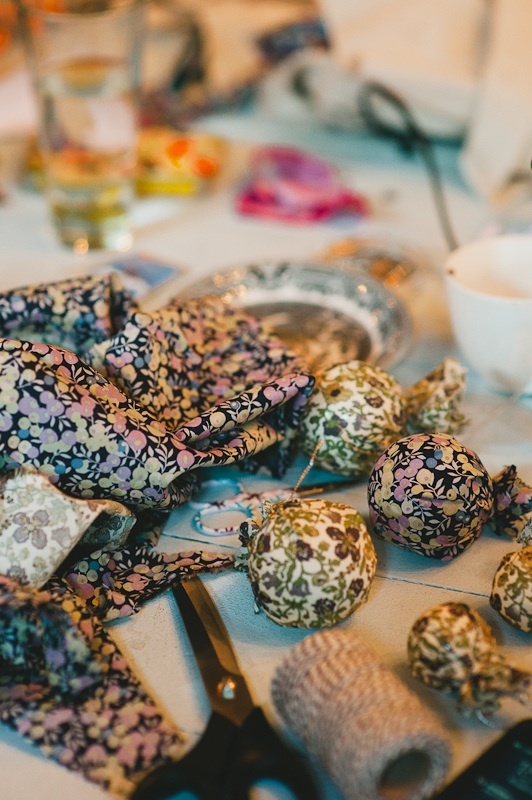 Be sure to look at the blogs of all the wonderful bloggers that attended and help us launch Styling the Seasons - keep an eye out for all the wonderful Liberty Print creations they made for December. 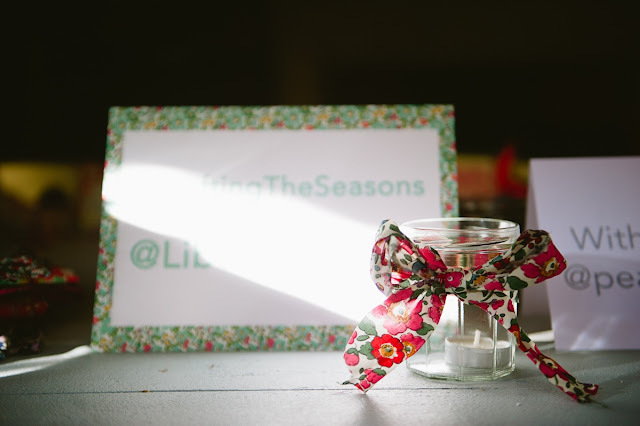 As always a huge thank you to everyone who has taken part in Styling The Seasons so far. 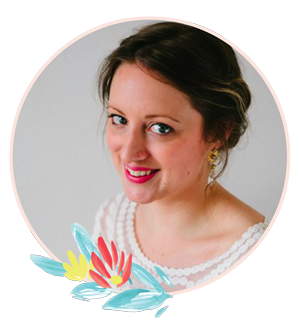 It is open to anyone who wants to join in, all you need to do is style a surface in your home to reflect what the month means to you and let Katy and myself know so we can see it.